The Movement for the Survival of the Ogoni People (MOSOP) strongly condemn the Shell Petroleum Development Company of Nigeria Limited (SPDC) over on--going destruction of farmlands in Ogoni which is having very serious and negative impact on rural communities. MOSOP is deeply concerned about SPDC's continued pipeline laying with the backing of Nigerian soldiers, as the destruction of farmlands in parts of Ogoni especially in Gokana local government area is having strong impacts on livelihoods as well as being capable of igniting conflict with affected communities. 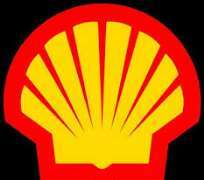 The conscienceless actions of Shell has become intolerable especially the on-going destruction of farmlands belonging to families, in Kpor Biara and K-Dere in Gokana local government area, whose survival solely depend on subsistence farming. We condemn Shell's negligence and disregard for community safety while it continuous with such a major project without an environmental impact assessment as required by Nigerian and international law. MOSOP demands that SPDC will stop its pipe laying activities in Ogoniland immediately or face a public action as we will not hesitate to mobilize against the unacceptable conduct of the company.